CONGRATULATIONS to Don Dickson of Fort Frances, ON. Don was the lucky winner of our winter raffle. Pictured from left to right: Representative from Railside Sports and Marine, Lion Len Suomu, Winner Don Dicckson and Lion Gary Hutchison . The Vermilion Bay Lions Club is looking for pictures, stories, past members, etc. 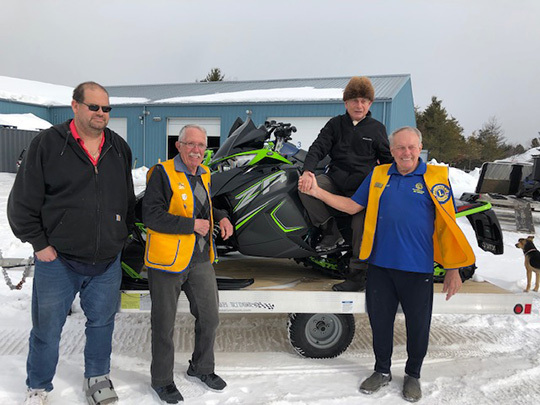 of the Vermilion Bay Social Club and the Vermilion Bay Lions Club. The Social Club built the hall in 1932 and gave it to the Lions Club in 1961. We are also looking for names of Karnival Queens and Princesses and the year they ran and who spon-sored them. 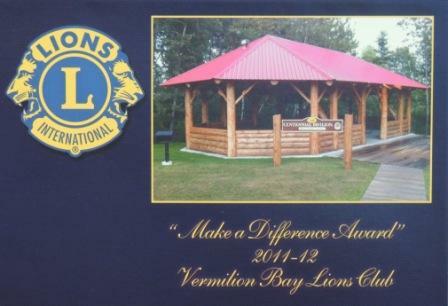 or contact any Vermilion Bay Lions Member. Please consider joining us and make a difference in your community. We meet the first and third Wednesday every month from September to June a 7:00 pm. For more information, please contact us.